New York: Random House, 1966. 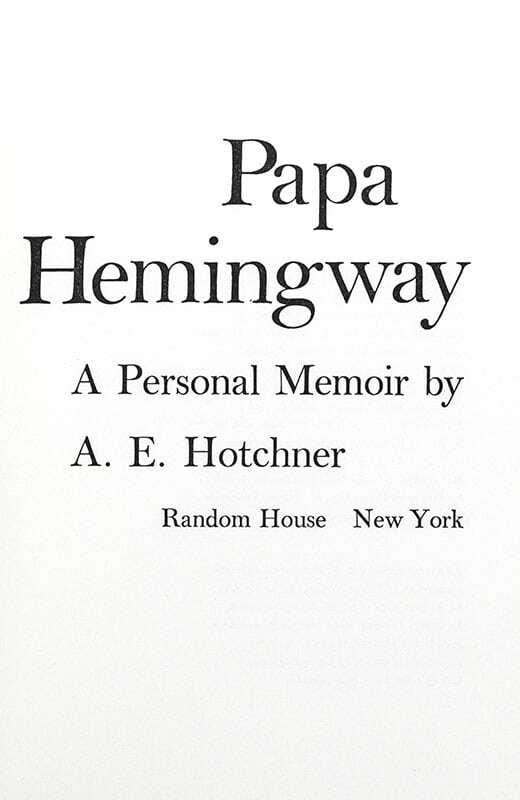 First edition of this personal memoir chronicling Hotchner’s friendship over the final 14 years of Hemingway’s life. Octavo, bound in full morocco by Sangorski and Sutcliffe, gilt titles and tooling to the spines, gilt ruled to the front and rear panels, raised bands, all edges gilt, inner dentelles, marbled endpapers. In fine condition. Between 1948 and 1961, Ernest Hemingway and A. E. Hotchner traveled together from New York to Paris to Spain, fished the waters off Cuba, hunted in Idaho, ran with the bulls in Pamplona—and once Hotchner even masqueraded as a matador and Hemingway's manager in an actual bullfight. Everywhere they went, they talked. For fourteen years, Hotchner and Hemingway shared their thoughts and as Hemingway reminisced about his childhood, recalled the Paris literary scene of the twenties, and recounted the real events that lay behind his fiction, Hotchner took it all down. 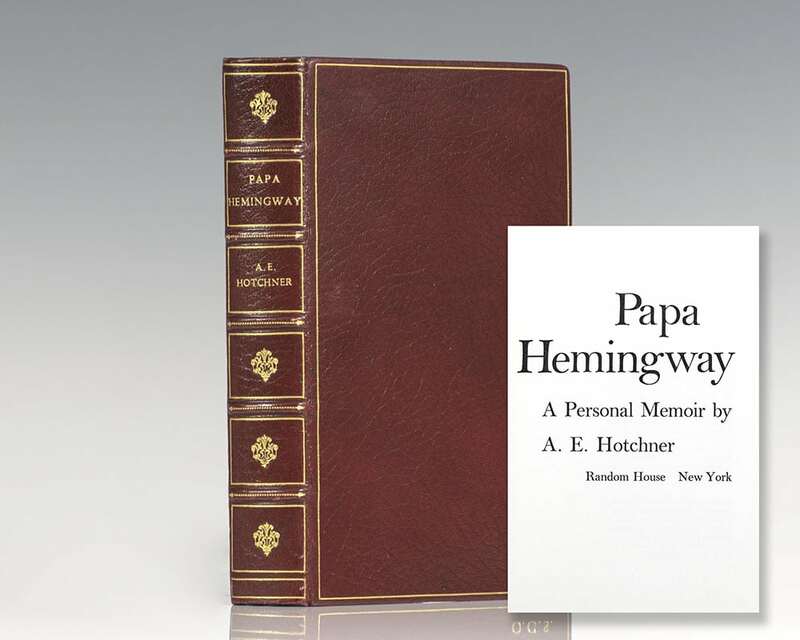 His notes on the many occasions he spent with his friend Papa—in Venice and Rome, in Key West, on the Riviera, and in Ketchum, Idaho, where Hemingway died by his own hand in 1961—provide the material for this utterly profound, and truthfully compassionate best-selling memoir about the Nobel and Pulitzer Prize-winning author.